Australian Capital Territory government is still killing thousands of kangaroos every year in a cruel, unnecessary, ineffective and ecologically destructive annual slaughter on public reserves. This has been going on since 2009, and we expect the latest slaughter to be announced any day. In 2015, the Australian Capital Territory government authorised the slaughter of at least 25772 kangaroos across the Territory. Most of these were to be killed on farms because farmers believe that native kangaroos compete for pasture with introduced livestock. *actively harmful to ecosystems (because kangaroo grazing ensures diversity of habitat for a great diversity of others species, many of which cannot thrive in either ungrazed land or livestock grazed land). The evidence also shows that the government’s kangaroo counts are inherently inaccurate. 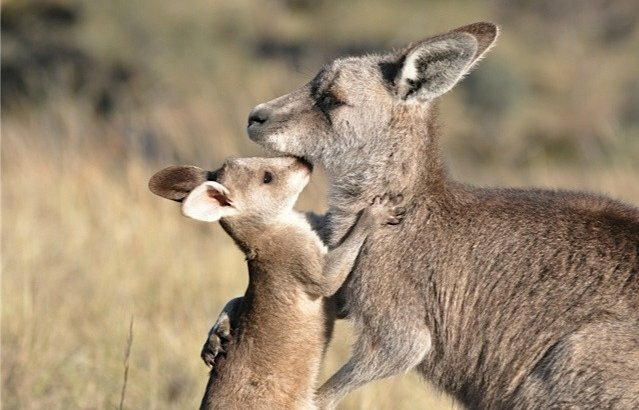 Evolutionary sociologist and AWPC policy advisor, Sheila Newman, has criticised the research base used in the ACT Kangaroo Management program. (See https://candobetter.net/node/4822). Her review of the literature concludes that “culling” may actually increase kangaroo populations by speeding up reproduction, with the selecting in of smaller, earlier maturing kangaroos and the selecting out of big, mature animals, in a harvested population like effect. ACT kangaroo management of kangaroos is narrowly based on numbers, rather than mob dynamics. “Culling” can increase mob sizes, as it destroys mob control from larger, mature adults, and gives breeding opportunities to younger animals. Ms Newman says: “…harvesting, damage mitigation and culling probably accelerates population growth in roos” because of the ‘harvesting effect’ on their evolution which tends to select-in smaller animals which reproduce earlier. The government’s own ecologist has admitted that the government’s assertions about kangaroos being a threat to vulnerable species were just “PR”, and that its claim that killing kangaroos will benefit biodiversity generally is based on a simplistic assumption that more biomass (vegetation) is better for biodiversity than the diversity of vegetation achieved by kangaroo grazing. Furthermore, evidence shows that even the weak and cynical provisions of the Code of Practice are not obeyed. Although the Code of Practice requires kangaroos not killed instantly to be immediately euthanased by a shot to the head or heart, one young male kangaroo found in a government burial pit had been shot, bludgeoned, stabbed, then died of either blood loss, or possibly suffocation from being buried while still alive. The ACT government must stop hiding behind its out-dated Kangaroo Management Plan, start looking at the actual evidence, and take some measure of responsibility for its own decisions. Sign this Petition: End the slaughter of kangaroos on public land in the Australian Capital Territory.